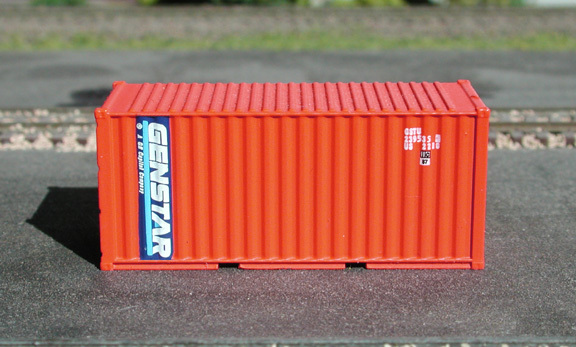 Here is a look at the upcoming second release for the deLuxe innovations Gunderson Maxi-Stack III. 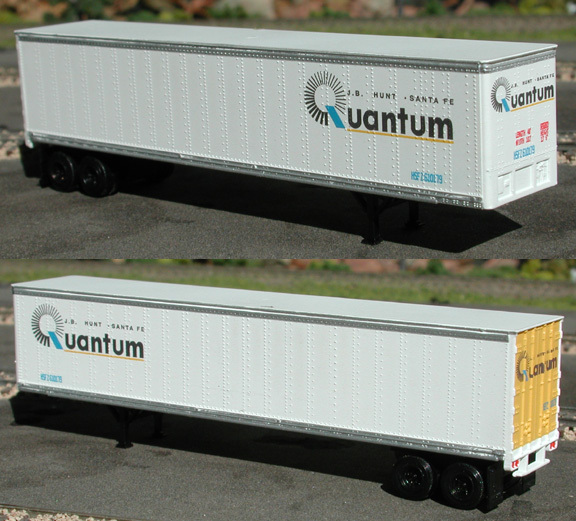 These cars have die cast bodies, plastic brake detail, articulators and container guides, and etched stainless steel platforms. They are equipped with body mounted Micro-Trains Line Magne-Matic couplers. 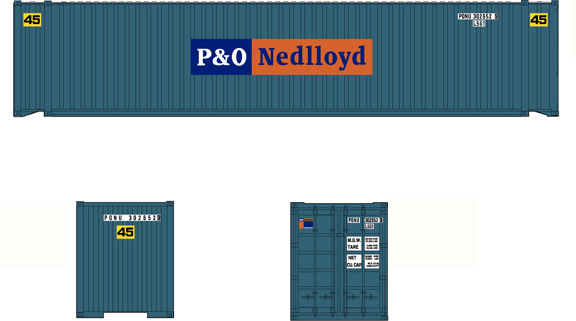 Like the prototype, the deLuxe Maxi-III will fit all standard 48' or shorter containers in the bottom position and 40' or longer containers in the upper position. Here is the Maxi-III negotiating a 9.75" radius curve. 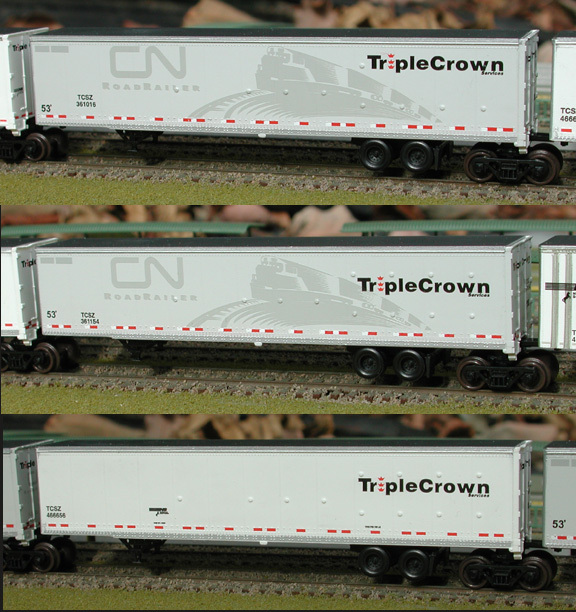 Like their Twinstack, these cars are ready for the rails and can be stored loaded or empty in their original package." 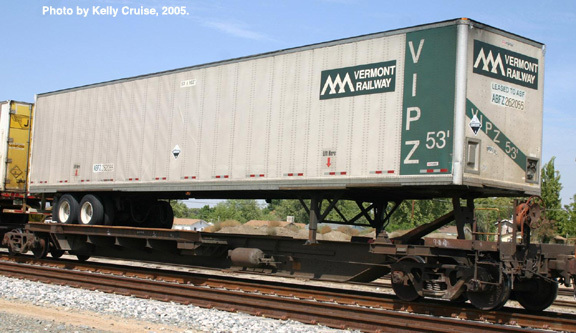 As many of you know TTX also has well cars with "Trailer Train" printed across the side. These two numbers should also sell out quickly. So get your orders in PDQ. Here is a artists drawing of the graphics. Pictures will follow later in the year. 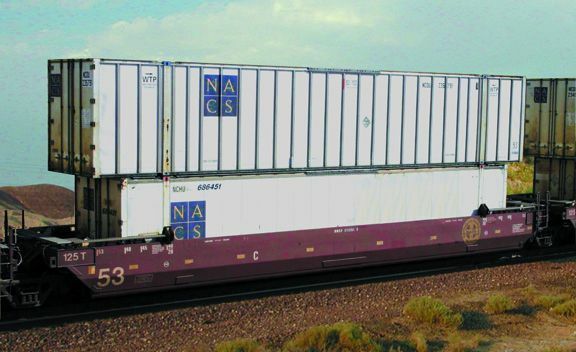 By 1997, the growing number of 53' domestic containers was outstripping the "upper" positions on 48' container cars and a solution was needed. The answer was the Gunderson Maxi-Stack IV. 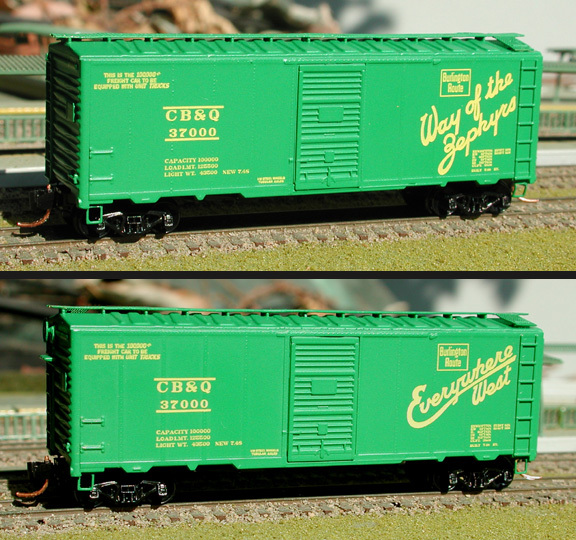 Similar in appearance to the Max-III, this car has three 53' wells instead of five 48' wells. The side sills are also heavier to support the extra length. 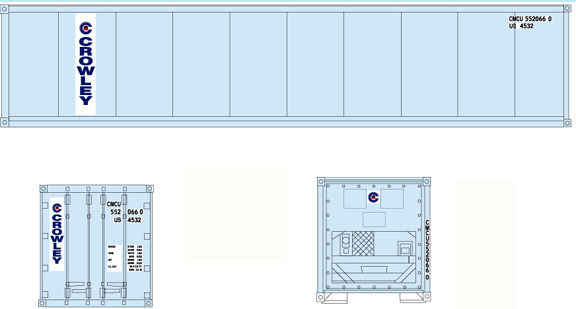 As you can see, Maxi-IVs are not restricted to carrying 53' containers. 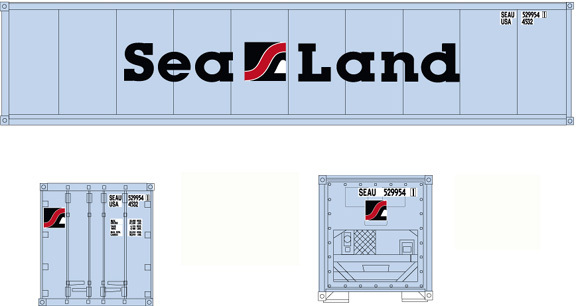 In fact, they are just as often found carrying international boxes in "land bridge" trains. 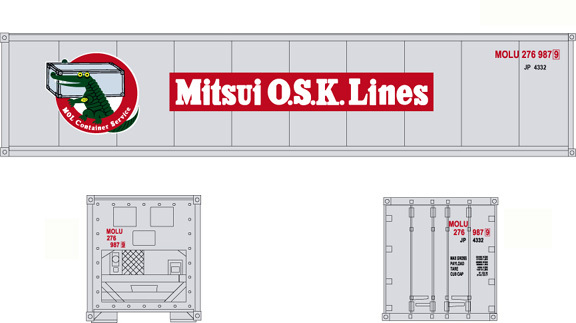 These models will feature metal bodies, etched steel platforms, plastic details, and Micro-Trains Line couplers. Each run will have two different road numbers and, of course, feature our superior color reproduction and superfine lettering. 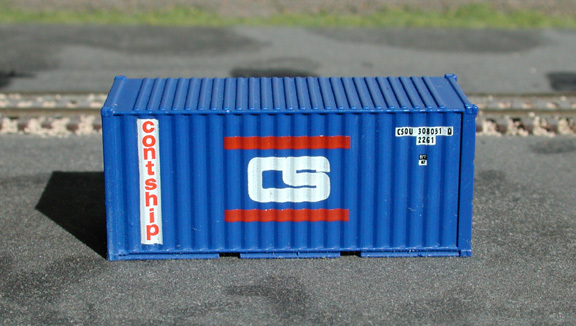 Containers are sold separate (because only you know what you want to model!). Like our Maxi-III, these cars will sit at a prototypical height above the rail.